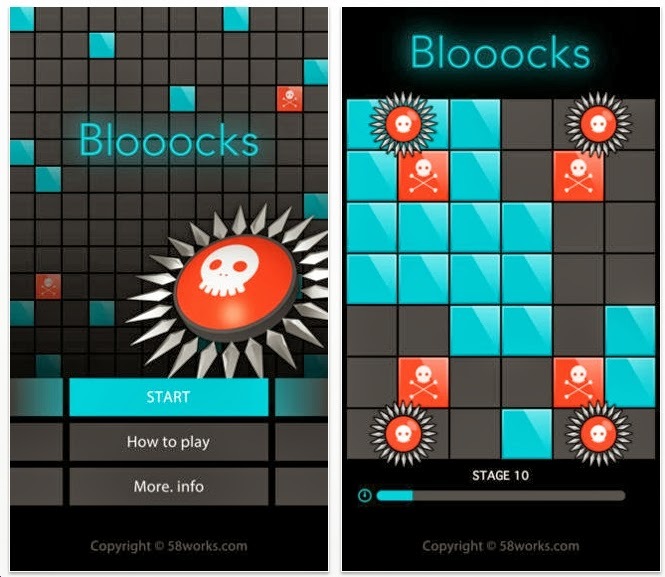 Blooocks is a point scoring based on speed. The object is to change each square from black to blue - as fast as possible. 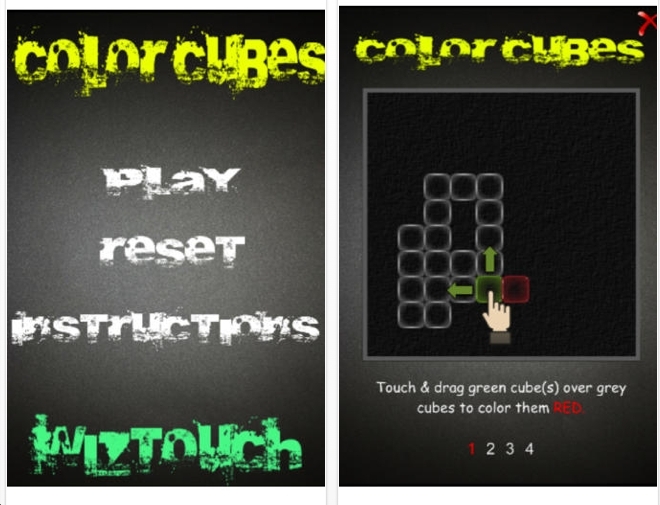 If you touch the red squares, you die. See the red wheels? They roll around. If you touch them, you die. White squares must be tapped 4 times to change to blue. There are 16 levels. I've done them all. 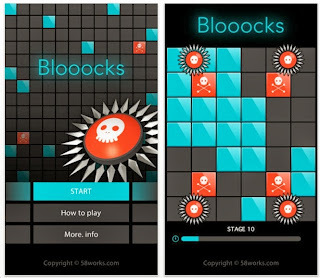 Blooocks is a very fun speed point scoring game. But 16 levels is not enough. You'll do them in 5 minutes. There's potential for at least 100 more levels. Sluzzuls is a puzzle app game that's very familiar. We've seen this type many times in the past. 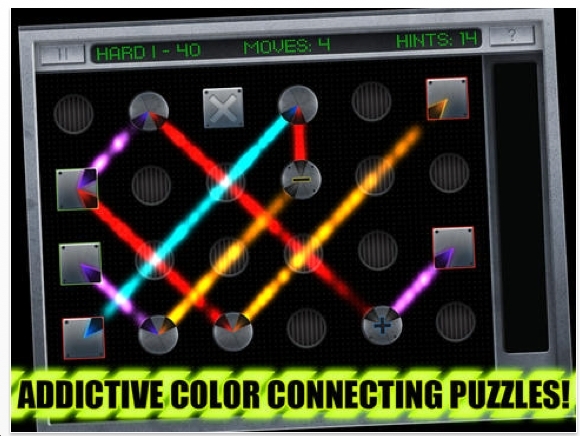 Slide the rows and columns so that all the colors are grouped together in squares. See the first image. 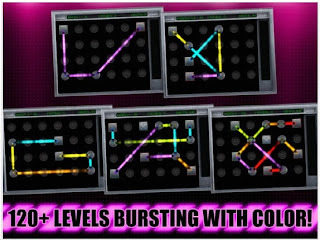 I don't have an image for the 'harder' and 'hardest' levels. But I've solved 1 of them. 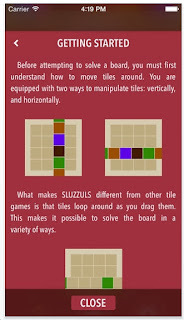 And yes, they are harder only because the tiles that border another color have a more fixed location. I like the graphics and interface of Sluzzuls. 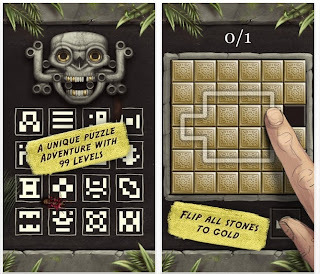 However, by no means is this a great puzzle app. I've previously deleted all of the other versions, and will delete this one too. 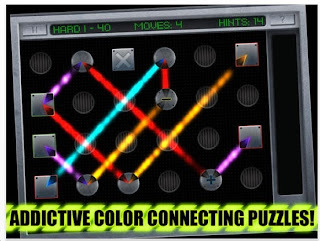 Still, if you've never played a puzzle like this, it's good. Smash Draughts is a puzzle app game that has nothing to do with checkers, chess or draughts. 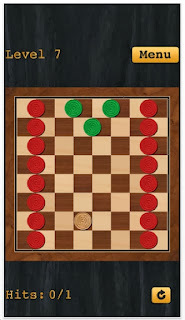 The object is to shoot the white checker to get the green checkers off the board. 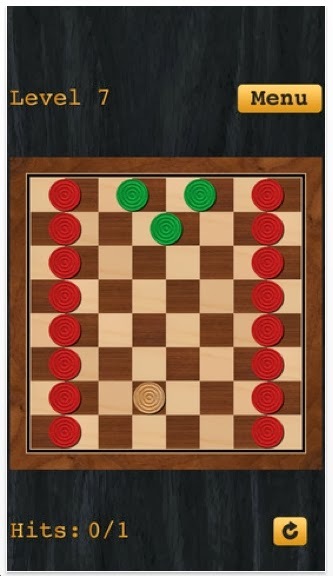 The white checker may not touch a red one. 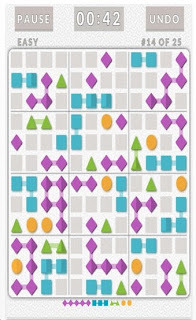 Blue checkers cannot fall off the board. I did the first 30 levels and I think they're fun. I have no idea how many levels there are. When I go to 'select level' the program turns off. I've also tried to contact the developer - no response. Smash Droughts is not a brilliant game. 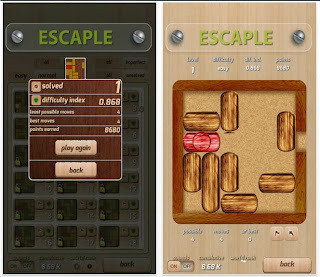 It reminds me of 'The World's Hardest Game' which you can play online. That's a fun game! 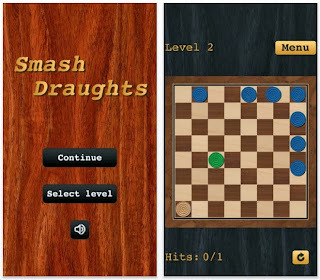 Smash Draughts is especially for somebody who likes pool & billiards. Hey, it's free. 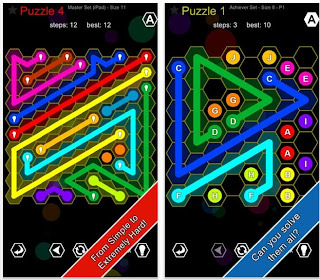 If you've been reading this blog carefully, you'll remember Stickets, a point scoring puzzle app game that I really liked. There is a fellow named Chris Pheasey who is the top scorer with 3,753 points. He's been going strong on this one game for a long time, maybe 2 or 3 months. Next up is OddballDave with 2,913 points. Not sure if his game ended. He hasn't played in a week. Maybe he's taking a break. Just to put things in perspective at how great those scores are, #3 is 1735. #4 is 1655. #5 is 979. I'm at #6 with 972. Here is the latest rip-off of Rush Hour. There are 240 levels. Here's what's new: a 'difficulty index'. There's also a mysterious system of scoring points. 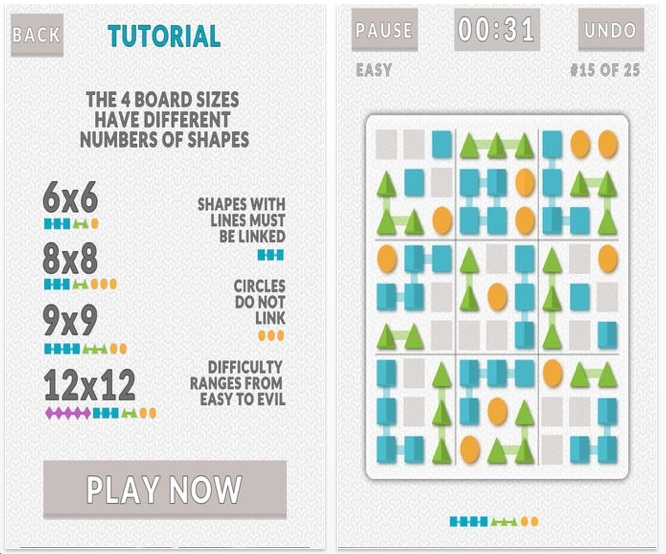 Example: when I solved level 161, I did it in 43 moves, while the least possible moves is 28. My points earned: 962,635. 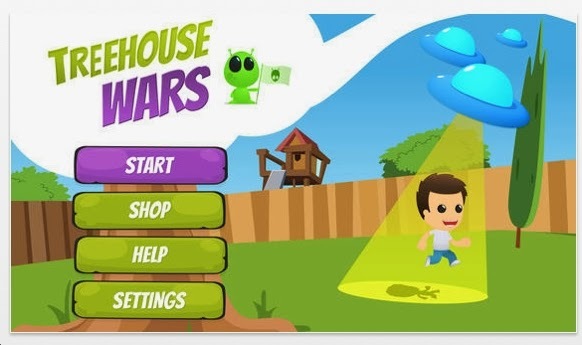 Treehouse Wars! was designed by a 9 year old kid. 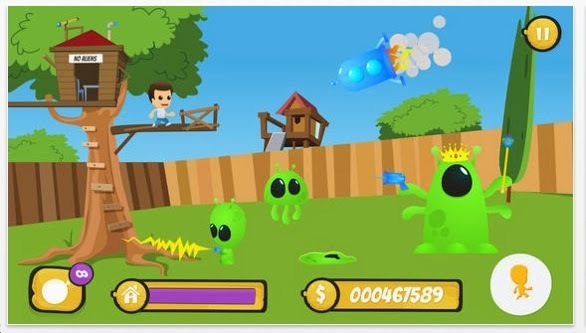 Aliens are walking in your backyard and you are in the treehouse throwing water balloons at them to kill them. If you fail to kill them, they will cut your tree down. 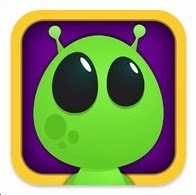 I didn't get to the level where flying saucers are swarming around you. But you can see the image. Major kudos to young Jefferson Johnson for creating this. I know that future versions will be better. If you've played Rush Hour or Unblock Me, then you get the idea. The object is to slide the colored bars along the hexagonal grid so that the red bar can move to the red spot on the right. We've seen many versions of Rush Hour. We've also seen a hexagonal one too. A couple of years ago I reviewed Hex Slide 1000 and Hex Slide 10,000. Same idea. However, with Hex Slide, the red piece could be anywhere on the grid - not just on the horizontal row. 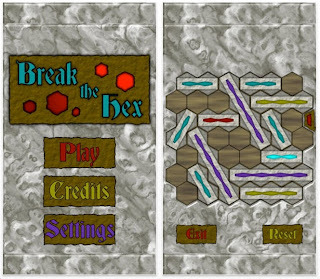 Break the Hex has 100 levels. I didn't think that I would solve them all, but I did, so it's good. The graphics are fine. 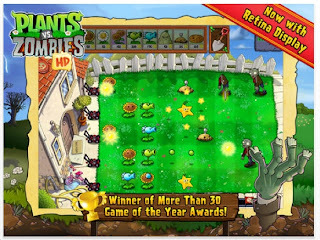 Plants Vs Zombies is a classic action game. 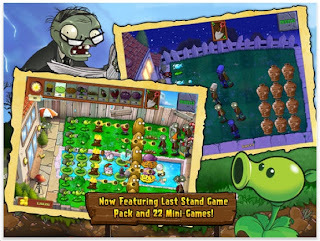 The object is to kill the zombies as they march onto your front lawn. You will first need to plant sunflowers, which will emit 'suns' from time to time. Collect the suns and you will gain points. With those points, you can then plant pea-shooters that will kill the zombies. As you progress through the 50 levels, you will be able to plant more sophisticated things like mushrooms that have their own killing properties. Plants Vs Zombies is a genuine puzzle because as you get to the higher levels, you must strategically place things. Also, before each round, you will get to choose how to stock your arsenal. 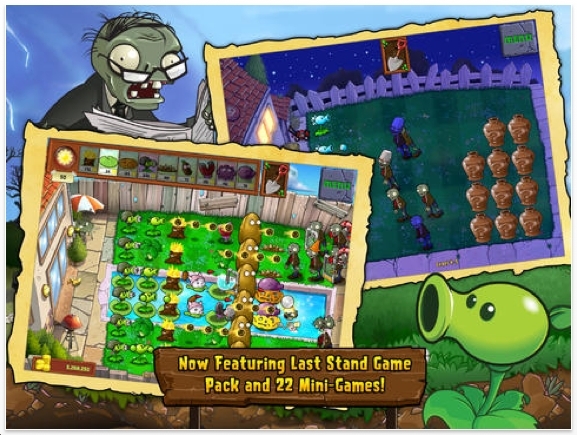 I first played Plants Vs Zombies 2 years ago. I played 3 or 4 levels and loved it. But did not view it as a true puzzle, because it's not. I restarted it a couple of weeks ago and have now gone through all 50 levels. I thought to myself: whew! Then I downloaded Plants Vs Zombies 2. It's more of the same. 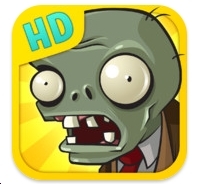 Plants Vs Zombies is a fun game. It's truly a modern classic. The object is to get the 4 green dots to the upper right corner. The blue dots to the bottom right corner, etc. See the red triangle in the top left corner? Tap on that and those 8 dots will rotate in a loop. Tap on one of the bottom triangles and those rectangular loops will rotate. 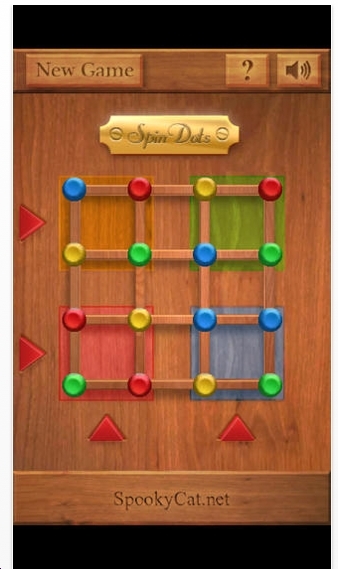 Spin Dots is hard! I've solved it twice. There is a mechanical version that is similar: The Orb, which I really like. 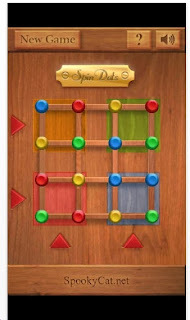 Spin Dots is a free puzzle app game. Can you do it? 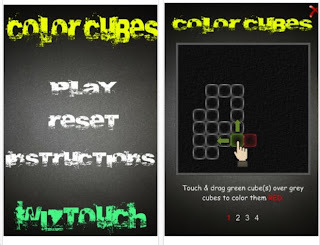 Color Cubes is a topology puzzle game app. Tap on any square and then drag your finger over all of the others once and only once. 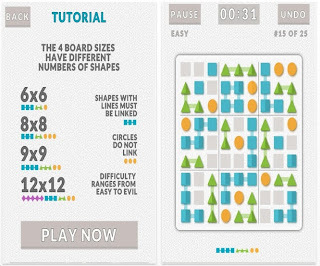 We have seen many topology puzzle apps lately. 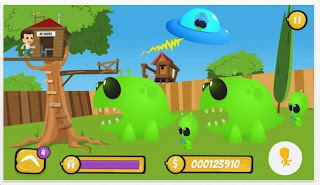 This one has 30 free levels. I did them in about 10 minutes. Not very hard. You just have to know where to start! 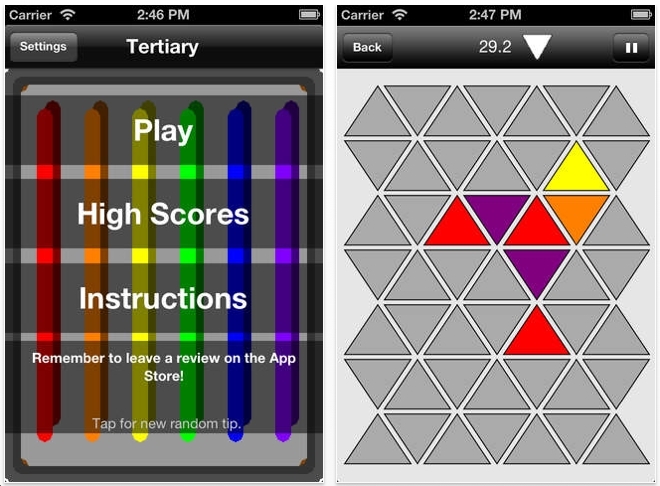 Next week I'll be commenting on a very interesting topology puzzle app game. Here's what I see: a total copy of the card game SET. If you haven't played SET, get the deck of 81 cards and get playing! 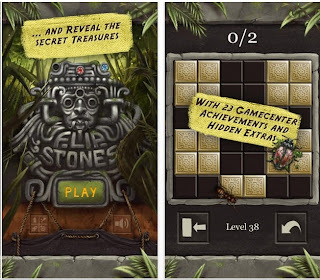 This free puzzle app version offers clues and keeps track of your score. 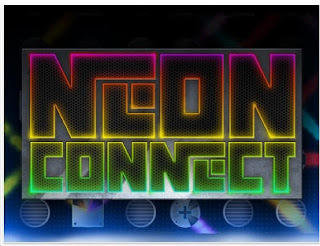 If you have been following my blog the past 3 or 4 years, then you know the game Lights Out. Worms* is basically the same thing. Except the worms either stick their heads out or crawl back into their holes. 59 levels. I did 5 or 6. 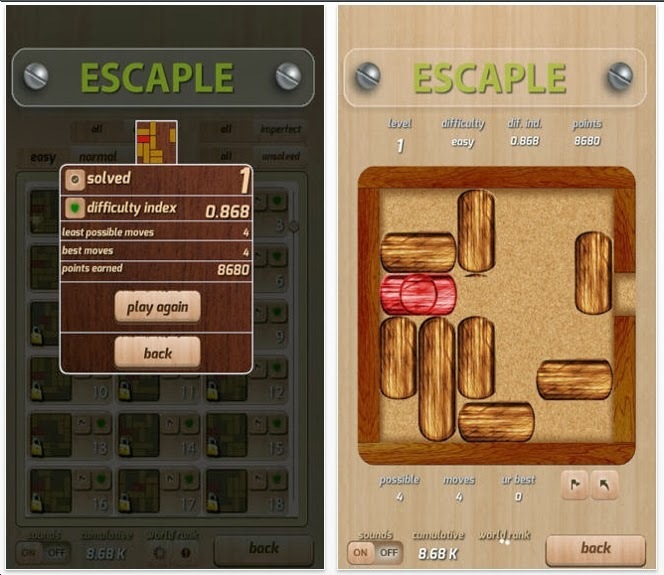 I've got more interesting puzzle apps to play. But I like the theme. Brain Catalyst is a round version of Rubik's Cube. Tertiary! 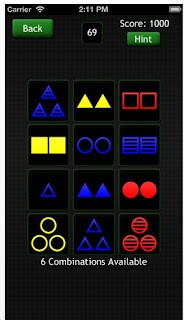 is an unusual, unique puzzle app. I had to read the directions twice before I really understood them. 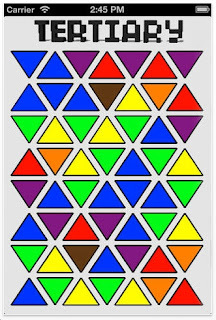 You are given a grid of gray triangles. Tap them one at a time. 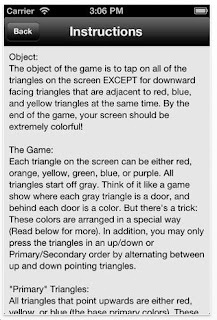 You must tap on them in this order: a triangle pointing up, followed by a triangle pointing down - any where in the grid. Try not to tap on the ones that are 'tertiary'. You can figure out some of them. But there is an element of guessing. I've solved it twice. I cannot say that I'm a fan. However, this is an interesting concept and I challenge anybody to determine if luck is not needed at all. Weekend update: I've investigated this more and have solved it 10 more times - all without luck. I have figured out a system. Tertiary is definitely intriguing, but once you've figured out a system, it then becomes a 'how fast can you solve this' puzzle. 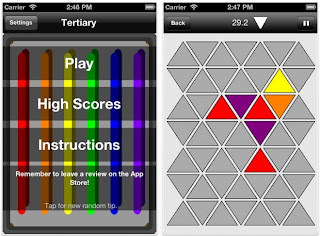 Tertiary is a free puzzle app, give it a shot. I recently played Neon Connect on a long plane ride. It's similar to a laser puzzle, but different. 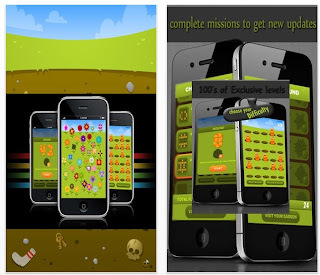 There are 60 free levels. I've done them all. I think this is a good set of puzzles. Andreas Riedmüller recently contacted me about his company's old and new game. The old game is Touch Me Lite. Tap on the 'Touch Me' bar. Keep doing it as it darts up and down the screen. As Andreas wrote to me: it's a stupid one button game that was number one in Germany for several days. 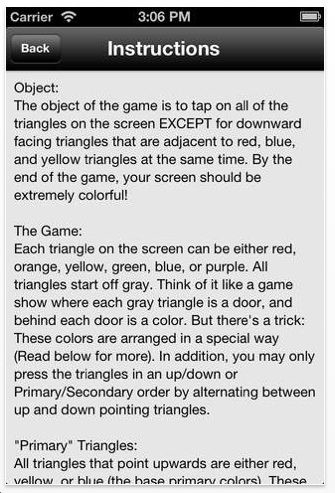 I played this and got a score of 106. I checked the Leaderboard. My score is not exceptional, but I was amazed to see that over 45,000 people have played this. Is it worth your time? Not really. But there's a Touch Me Pro version for $.99 where you can customize things. 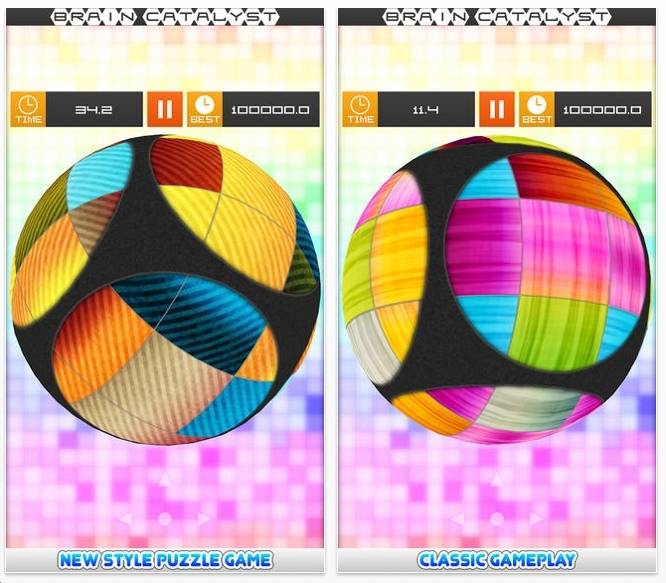 Their other puzzle app is much more interesting. More about that next week. 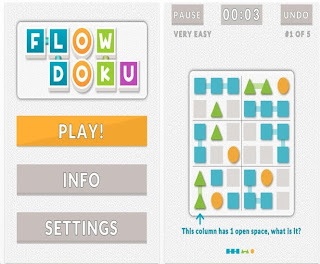 Hexic Flow uses a hexagonal grid for Flow. 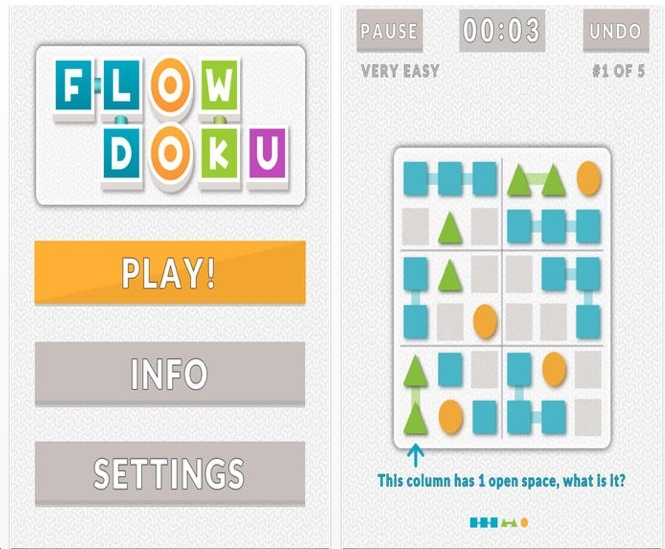 I'm not crazy about Hexic Flow. 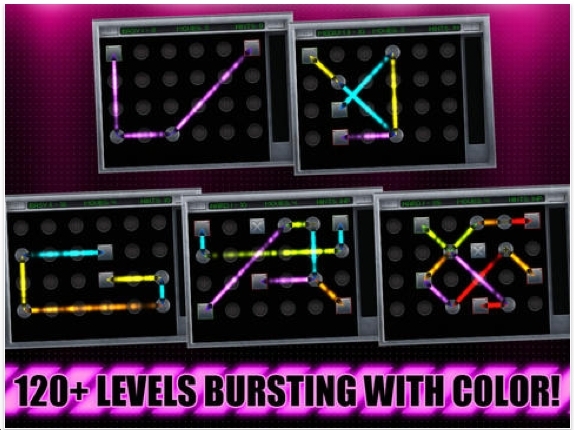 For one thing, I have solved the hardest advanced levels without using all the hexes. Which means there are multiple solutions for these. 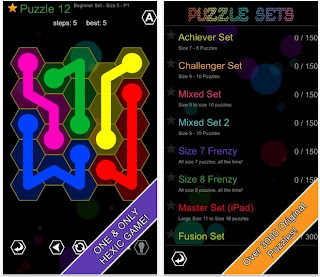 I should mention that Hexic Flow is a free puzzle app and young puzzlers should enjoy this. Dizzy Squares is a very simple puzzle. 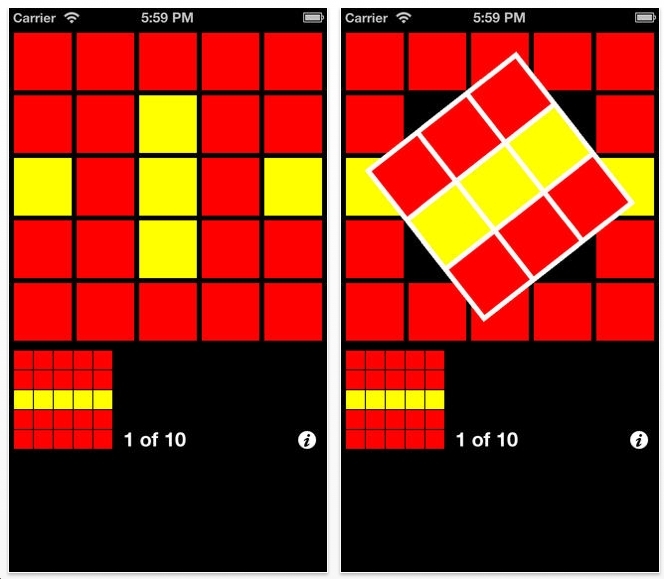 Rotate any 3x3 square grid to match the pattern on the bottom. There are 10 levels and I'm stuck on level 6. And they only get harder! 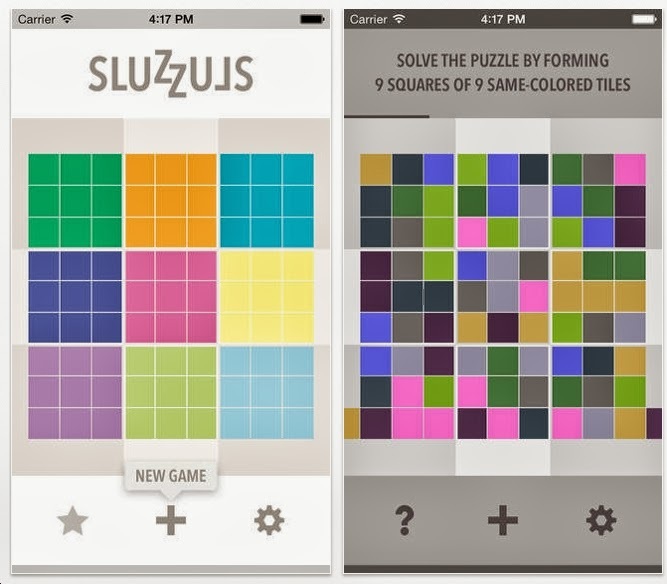 I'm wondering: can any permutation of random colored tiles be solved? 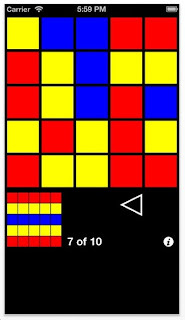 Did I mention that Dizzy Squares is a free puzzle app? Here in the US, it's Labor Day - an official holiday of rest and the unofficial end of summer. I was about to write you in order to give you BIG THANKS for your kind review. It's been the first time I've had feedback from someone outside my personal circle so It's been very important to me that you liked my game and you considered it interesting. Definitely downloads experienced a significant increase after the publication of your review, so I can see your blog is being followed by a lot of people!!!! I really wanna thank your honest work in my name and in the name of other developers that appear in your blog for free, not like other review sites do. 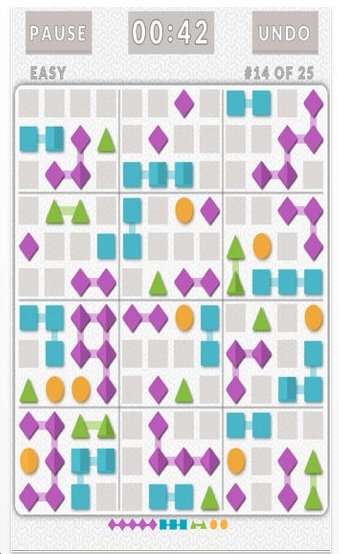 I am now working on another app, which will be a free board game, exclusively multiplayer. As soon as it's ready I'll let you know, though I don't know if you're interested only on puzzle games, or perhaps on board games too. Congratulations for your good work and thanks again, I hope you keep doing well in the future.